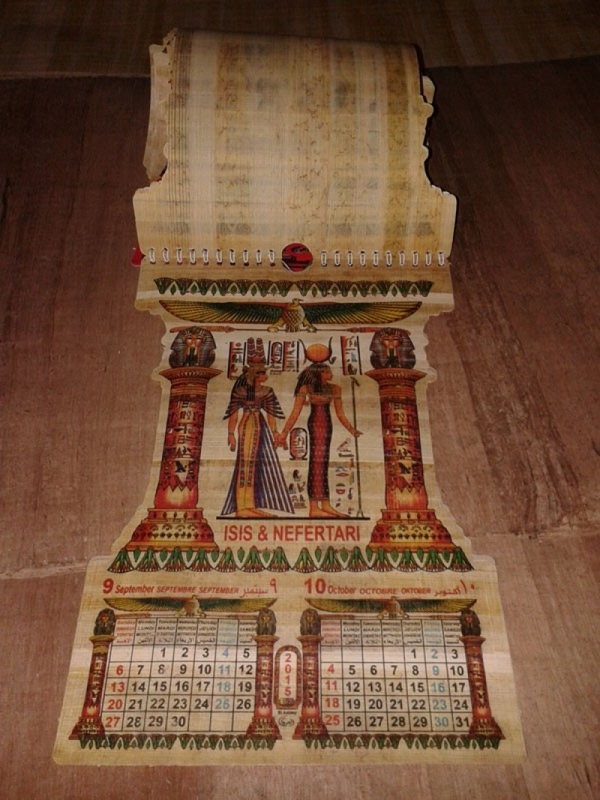 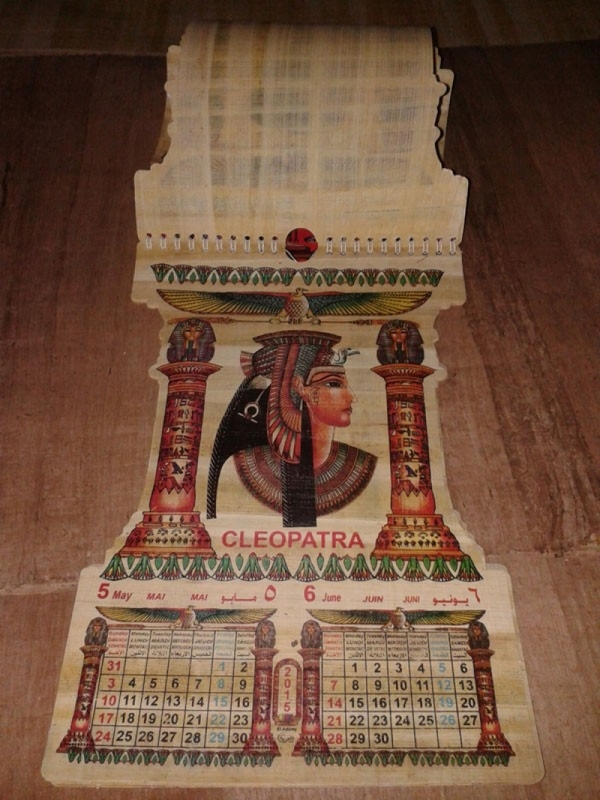 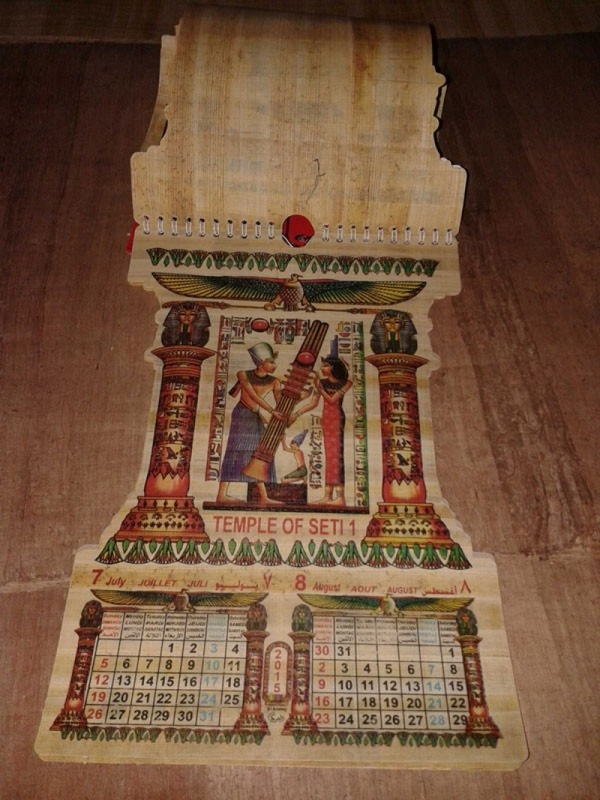 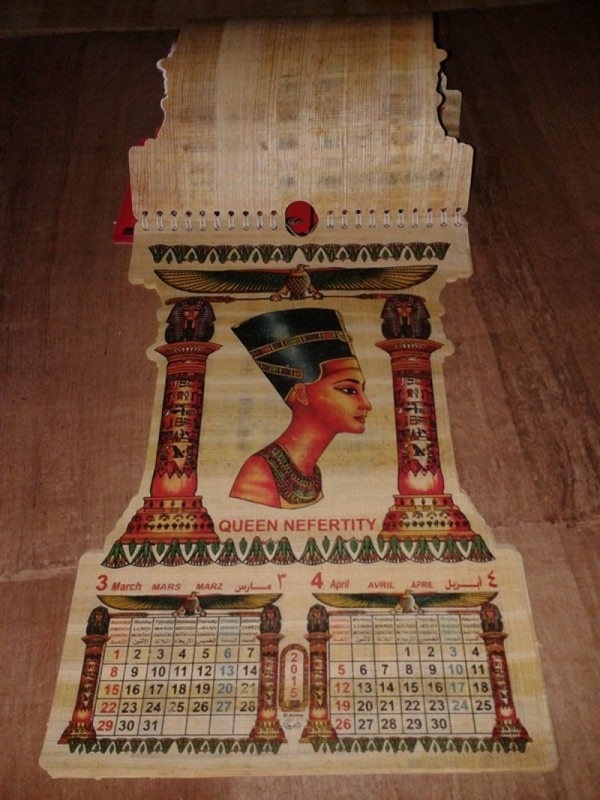 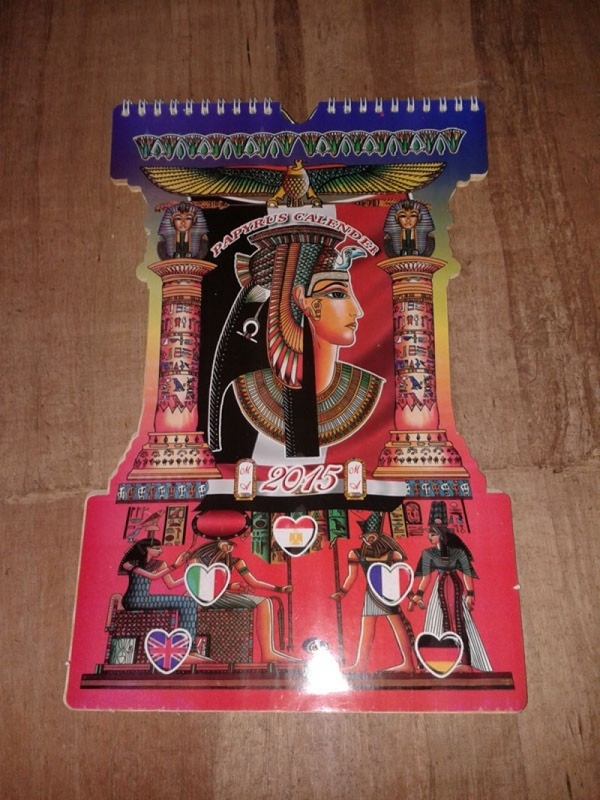 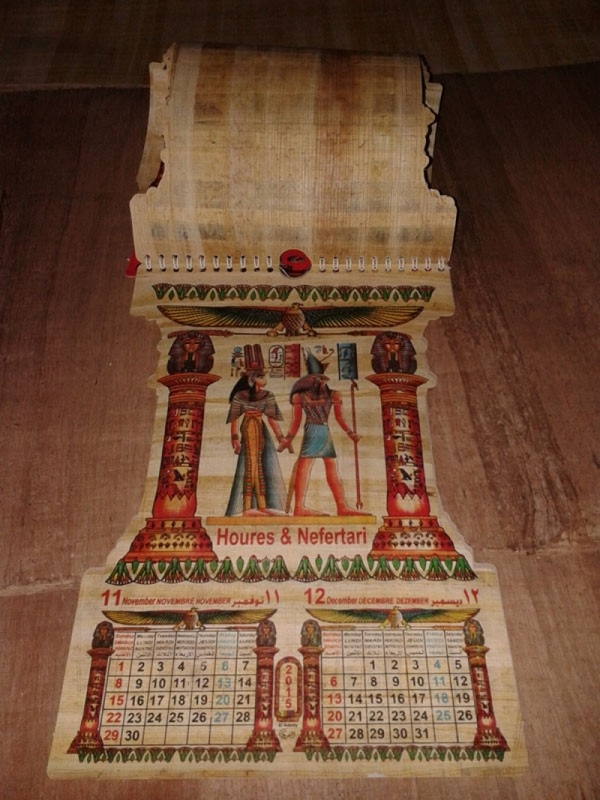 2015 New Year Calendar made of papyrus consists of cover and 6 papyruses printed with 6 different pharaohs scenes . Each papyrus contains 2 months and unique art on it. 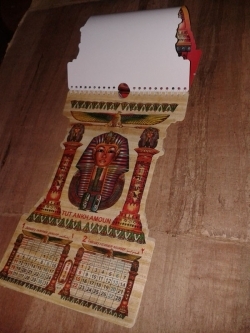 The year in calendar of ancient Egypt consisted of 365 days they divided year to 12 months each month consists of 30 days plus five extra days then divided month to 3 weeks, each week consists of 10 days.